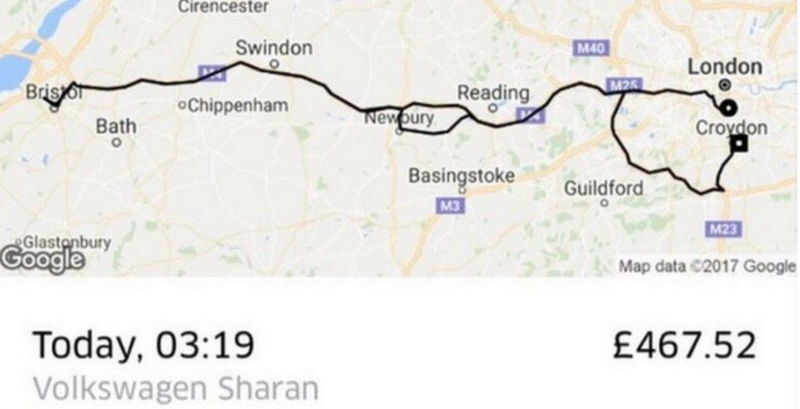 Aaron Wray, an 18-year-old computer science student from London, drunkenly ordered an Uber and mistakenly set his destination as Bristol. After a night out on the town, the Brixton resident fell asleep in the back of the Uber, assuming he would be returned home in a short 20 minutes. However, the hapless fresher discovered at 6am that he had misdirected the driver to Bristol: a detour that would have cost him £467 overall. At this point, they both realised the mistake and the Uber was turned around, returning them to the capital five hours later. Despite the unorthodox route, at least he got home without having to shell out what is equivalent to 155 meal deals. Or two weeks rent if you are in London.